Primer Select® is a high performance soil surfactant that lays the foundation of an effective rootzone management program. It is safe for all turf species throughout the entire growing season and in all climates. Also available in spreadable water dispersible granular formulation. Primer Select reduces soil water repellency that commonly occurs in the thatch and upper 1-2 inches of the soil profile of highly managed turf, particularly putting greens. 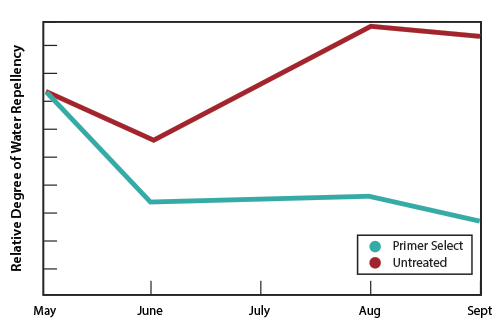 By managing soil hydrophobicity, Primer Select enhances the penetration and infiltration of water into the rootzone throughout the growing season. 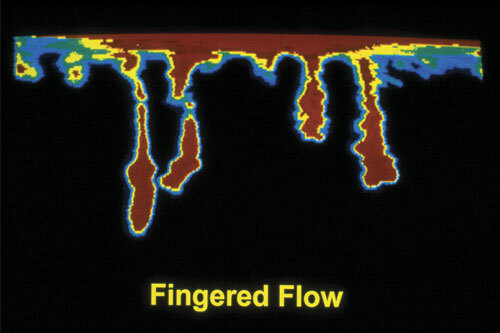 Computer enhanced photo showing “Fingered Flow” water movement through an untreated USGA sand green profile. 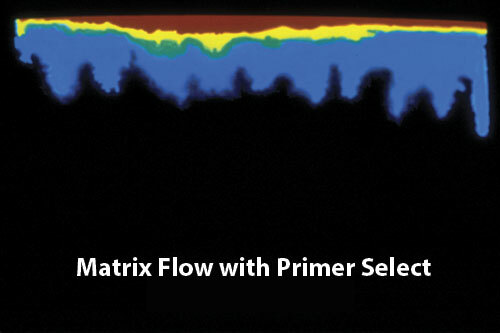 Computer enhanced photo showing “Matrix Flow” (uniform downward and lateral flow) through a USGA sand green profile treated with Primer 604. Apply 2 oz per 1000 sq. ft. in 2 gallons of water (65 ml per 100 m2 in 7.6 L of water) every 14 days. Apply 4 oz per 1000 sq. ft. in 2 gallons of water (125 ml per 100 m2 in 7.6 L of water) every 21 days. Apply 4-6 oz per 1000 sq. ft. in 2 gallons of water (125-180 ml per 100 m2 in 7.6 L of water) every 30 days. 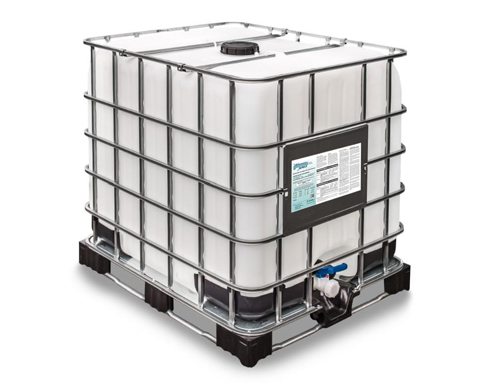 For more information about Primer Select, including pricing and availability, contact your local Aquatrols distributor today! To view the Label, SDS information, Literature or Research, simply click on the + button. Please contact Aquatrols directly for any questions or additional needs regarding product information. All content is trademarked and © 2016 Aquatrols.